for some Kona Joe, sitting with our friends cream and sugar. Instant coffee takes too long. Kona, however, is "Ono". Tastes good. 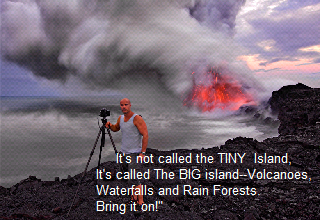 A Sophie's Choice meltdown over which island or for that matter, which town on the Big Island gets to check into Hotel @nyware--- my memoirs-- I'm feeling like the Oskar Schindler of travel bloggers-Kona and Hilo , you were nice to me. You get to live in digital heaven-because we all know information on the web never dies. Kona has coffee; and where there is coffee there is caffeine, and where there is caffeine, there is (Starbucks) and the opportunity to do stupid things faster; and that's where the teachable moments are---because time doesn't exist in Hawaii but being stupid does (has its benefits). Ignorance is bliss. Kona's ocean water almost always reflects a blue Hawaii that leaves me scratching my head thinking " Where is the ukulele and Elvis sightings-Ooh up ahead". What happens in Vegas doesn't always stay in Vegas, I'm sure I'll see an ABC (Always Bring Cash) soveneir store soon. "Well done, you found out about this place. Now don't get yourself killed like me for being a stupid Haole.". 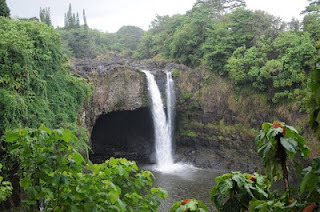 Kona is very inviting, leaving me curious, and with no other option but to stay a while because it's not called the tiny Island, It's called The BIG island--Volcanoes, Waterfalls and Rain Forests. Bring it on! I take in the random passion fruit and flower fragrances and the music and downtown farmer's market laughter barely audible as I tendered from the mother ship. It all gets sharper as I reach the dock to smiling locals. This is the not so Far East-Everybody speaks English. (well sort of). This is not a state of mind like California. This is entirely different, a state of grace--I know they need our Yankee dollar but wait a minute, this is not some outpost, some colony, this is just as much America, or is it? 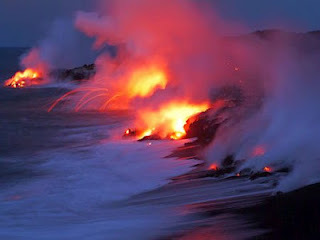 My inner monologue, that voice inside my head wants to scream out to the first local-Hawaii is a former Leaper Colony on top of an active Volcano where the only show I liked Hawaii 5 O got cancelled , Mahalo for nothing! -But I can't. This Samoan guy is part refrigerator, part Mack truck and can squish me like a bug. Besides,I think I'm just hungry. "Is it time for grilled and line caught Mahimahi already? I ask myself a question I know the answer to-"Yes"
Hilo is so cool to sail to because, overnight, with a moon lit backdrop, we steam past Kilauea,the active volcano lava rivers spark and spill into the sea, and leave its aftermath of molten rock at the waters edge. Only the view from Maui's Haleakala offers such a once in a life time view of something you probably never have seen before. Hilo is artistically bohemian, and in terms of authenticity, is the real deal-papayas, homemade jams, roasted macadamia nuts and koa wood carvings. The Banyan trees are worthy of a hug. It's the type of tree that moved me to tears of joy (For Real). I've often biked to Rainbow Falls too. That whole area-the nature, the land, the people speak, and it's easy to listen. They seem more resigned to the way they have to live than New Yorkers like me do. 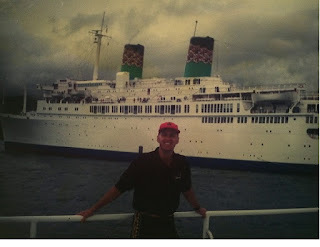 In fact, I often took my bike (that I stored on the ship-You could have a surf board or a bike-cool!) 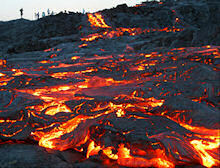 I soon realized the terrain on the Big Island is a bit like the moon with all that razor-sharp geo-volcanic rock. I never asked myself "Am I there yet" on a bike, except for Kona and Maui--It only took one time to catch a sliver of black volcanic rock and flat tire or in Maui, it's these prickly seeds mixed in with the red clay sugar cane dust that get you. The glamor of being a sailor had me concerned. "Repaint your entire house every month" Buy a Dumpster and live in it for 6 months" But this was going to be a cruise ship- It was on America Hawaii Cruises. I just wanted a different experience, and I took the first job I could get, which was a deck hand. We sailed for seven days and each day we had a port of call. 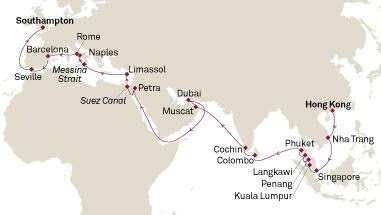 Starting off with an embarkation day at Aloha Towers in Honolulu, then a sea day, and we hit Kauai, Maui(Lahina and Kahalui) Hilo and Kona. It was the best! 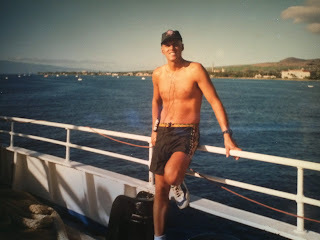 The weather was always temperate and I had the most energizing and spirtually uplifting time, enjoying the weather, the people, the food, the culture and the OHANA-family atmosphere of Hawaii. I have been hooked ever since on these beautiful islands. The definition of ecstasy is that you are not doing your ordinary everyday ho-hum existence. Shoveling sunshine in Hawaii beats a day at the office. Book Him, Danno! Is There life After Luau? You Do What On A Cruise Ship?